Home/Kitchens/How much does a new kitchen cost? It’s a good idea to approach buying a kitchen with an approximate budget. Giving us a ballpark figure quickly sets the scope of what we can specify for the project and whether or not the wishlist is achievable. It’s quite rare for budget and wishlist to align – in any industry – but when it does, it’s happy days. More often than not, the budget doesn’t quite stretch, it is then we can discuss alternatives. Where can we compromise? What can be revised to achieve a similar look more cost effectively? Then we can produce a quotation that will meet with your expectations. Some people may have no idea what they should be spending, and in these cases, we can look at your wishlist and give you an off the cuff estimate. If the estimate sounds high then we can help you to scale it down prior to committing to something more accurate on paper. You may have a budget in mind but feel that it is too small. You may genuinely not know what you should expect to pay, and once told a figure, feel like it’s easier to walk away and try a company that specialises in low budget kitchens. However, we’re well versed in finding cost-saving solutions and have supplied basic kitchen cabinets from as little as £2000 excluding fitting and appliances. So what does the average kitchen from Perfect Fit cost? Prices start at around £6500.00. 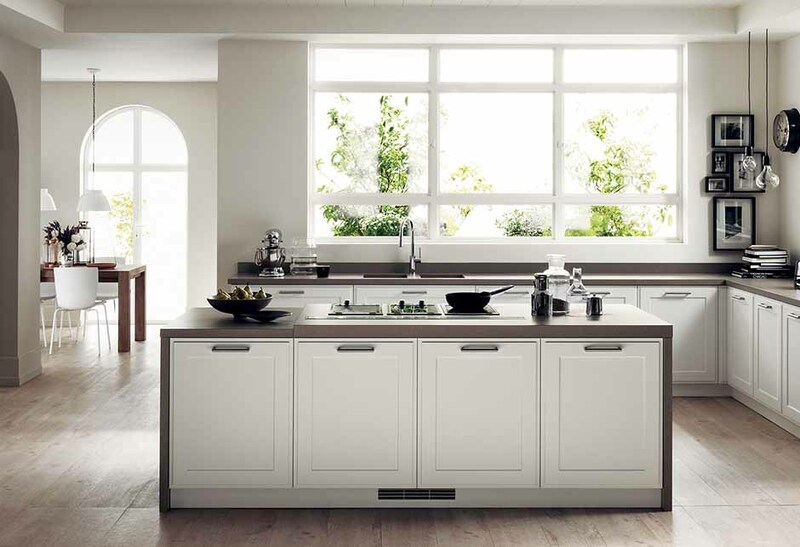 For that figure expect approximately 16 cabinets, in a handleless style, with good quality laminate worktops and simple appliances – hob, hood, oven, fridge freezer, dishwasher, sink and tap. From about £10-12k, we can offer lacquered door finishes with stone worktops, and from £18k+ consider more cabinets in a greater range of colours with higher specification appliances. Beyond £25k+ we can offer very high specifications covering the full range of colours and finishes (including wood and glass), curved cabinets, and worktops like Corian and porcelain. Our pricing is clear and honest. All our quotes are broken down into Appliances, Kitchen Cabinets, Worktops/Splashbacks, and Labour and are accompanied by drawings. We don’t have ‘Sales’ that promise huge discounts and we don’t use pressure sales techniques – we don’t offer time-sensitive deals to sign up by Tuesday for an extra 20% discount. The first price that we outline will be the best price that we can offer. And hopefully, it will be right on the money.